Death in Rome, which the Chicago Tribune called a “master­piece of literature [and] a masterpiece of historical scholar­ship,” was a worldwide bestseller published in nineteen edi­tions and ten languages. A study of the World War II Ardeatine Caves Massacre, it became an international cause célè­bre culminating in a ten‑year freedom‑of‑speech court battle involv­ing the Vatican. Days of Wrath is an investigative report on the terrorist kidnapping and murder of Aldo Moro, the Italian statesman. Re­viewing Days of Wrath, the Washington Post wrote: “anyone who can be moved by the pity and terror of a modern tragedy will want to read this original and passionately heartfelt book.” The book was nominated for a Pulitzer Prize; the film version won a Golden Globe and repre­sented Italy in the main competition of the 1987 Berlin Film Festival, where it received a Silver Bear award. Mr. Katz’s articles, essays, and book reviews have appeared in publications throughout the world. He has been a consultant to CBS’s 60 Minutes, ABC’s PrimeTime Live and Italian television's RAI network news magazine, Mixer. Both as author and screenwriter, Mr. Katz has been a guest lecturer on many university campuses in the U.S. and abroad. Between 1986 and 1992, he was a frequent visiting professor in inves­ti­gative journalism at the University of California at Santa Cruz and a Fellow of the Adlai E. Stevenson College. He is also a Fellow of the John Simon Guggenheim Foundation, a former grantee of the American Council of Learned Societies and has twice been elected a Knight of Mark Twain. In 1991 he was inducted into the Academy of Mo­tion Pic­ture Arts and Sciences. Mr. Katz is married to Beverly Gerstel and lives in Tuscany. Death in Rome (Macmillan, 1967); U.K. (Jonathan Cape), Italy, France, Germany, Hungary, Czechoslovakia, Japan, Brazil. Black Sabbath: A Journey Through a Crime Against Humanity (Macmillan, 1969; U.K.(Arthur Barker) and Italy. The Fall of the House of Savoy (Macmillan, 1971); U.K.(Allen & Unwin), Italy. A Giant in the Earth (Stein & Day, 1973). Days of Wrath: The Ordeal of Aldo Moro (Doubleday, 1980); U.K. (Granada), Italy, Japan. Love is Colder than Death: The Life & Times of Rainer Werner Fassbinder (Random House; 1987; U.K.(Jonathan Cape), France, Spain, Brazil. Naked by the Window: The Fatal Marriage of Carl Andre and Ana Mendieta (Atlantic Monthly Press, 1990). Dossier Priebke: Anatomia di un processo (Rizzoli, 1997). Rome, Open City (Coming: Simon & Schuster, 2003; U.K. (Wiedenfeld & Nicolson). 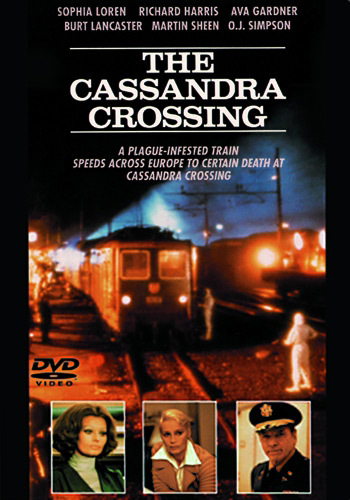 The Cassandra Crossing (Ballantine, 1977; U.K. Pan Books, France, Spain, Italy, Japan). Ziggurat (Houghton Mifflin, 1977; U.K.: Eyre Methuen). The Spoils of Ararat (Houghton Mifflin, 1978; U.K.: Sphere). The Moro Affair (Il caso Moro) (1986). “Pius XII Protests the Holocaust,” What If?2: Eminent Historians Imagine What Might Have Been (anthology, R. Cowley, ed., New York: Putnam, 2001; U.K. 2002). “Priebke: The Last Nazi Trial,” MHQ, Summer 1996. “The Education of an Assassin,” The New York Times, April 23, 1994. “Life in the Abstract,” The New York Times Book Review, August 1, 1993. "Octopus: The Long Reach of the Sicilian Mafia" The Washington Post, 1991. “Not a Pretty Picture,” Esquire, April 1991. “A Family Affair: The Tavianis,” American Film, June 1987. “Fear Ate His Soul: Rainer Werner Fassbinder,” American Film,” July-August 1985.